Quite often it may take some time for you to realise that neighbours living nearby may be involved with the supplying or buying of drugs. The whole world of illegal drug dealing is often a ‘cloak and dagger’ affair where activities are carried out in a very quiet, unassuming manner and there is often no specific ‘visual’ clues as to what a drug dealer looks like. Many of them can be dressed very smartly and drive around in luxury cars. It’s also a myth to assume that drug dealing only occurs in deprived pockets of inner city areas. While this stereotypical assumption is perfectly understandable as many inner city communities are indeed blighted by the supply and use of illegal drugs, they are certainly not the only areas where drugs are a problem. In fact, this is far from being the truth. Expensive suburbs and rural areas can have a problem with drugs and it’s not just a matter of ‘down and outs’ and those who you might assume would be your ‘typical’ drug dealer or drug addict who will always be on the lookout for their next ‘fix’. Many professional people whom you might think are responsible citizens and even ‘role models’ within your local community can fall prey to drug addiction. Therefore, drug dealing and related offences can occur just about anywhere. Some of the telltale signs that drug dealing activity may be going on in your neighbourhood include the steady flow of visitors to a nearby residence. Other things like watching out for brief encounters at the likes of your local park, bus stop or even on the street can also arouse suspicion. If you do suspect a neighbour of being involved with some form of drug dealing or trafficking whether as a seller or buyer, you should inform the police. To help police with their investigations, you should Keep A Record Of Your Observations. These should include the nature of your observations and the times and location of where they took place. Also try to provide the police with a description of the person or people involved, and their vehicles, preferably with number plate information too, if possible. If you are concerned that you will be identified as a result of you ‘shopping’ a suspected drug dealer to the police, don’t be. The police will guarantee that any information which is supplied to them is treated with the Strictest Confidentiality. If, however, you’re still concerned, by using a public payphone or writing into the police anonymously, you will still be able to assist the police with their investigations which they will appreciate. Drugs and drug dealing have the potential to ravage a neighbourhood and can, left unchecked, turn what may once have been a prosperous and peaceful neighbourhood into one which becomes riddled by crime and anti-social behaviour. Therefore, it is important that you act as soon as possible if you’ve a strong suspicion that drug offences are taking place within your neighbourhood, as failure to act quickly will often mean that the problems associated with drug offences will only escalate and further disrupt and damage your local community. If you're still not sure if you should get the police involved and how to contact them read our feature about When to Get The Police Involved. Reading so many people story make me understand I am not alone in my horrible every day life living next to drugh dealers. 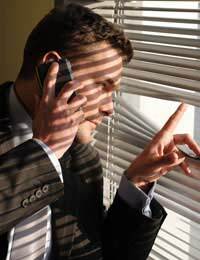 I have reported endless time to the police my suspect, what I am suffering with smells and noise that comes from next door. As many of you did happen, police say that there are no evidence and accuse myself of been paranoid. Neighboor got violent with me and harass me implying all sort of noise like birds, airplane, traffic although I live off road, dogs barking, fire alarm going on and off continueselly, police sirens and endless other annoying noise. Try to pay attention, many noise seem natural but are not. They have listening device trough wall listening at all time what I do. That's also the reason why in many cases I have called the police or other witnes and Just before they were arriving all noise was stopping. Make sure this is not happening to some of you reading. My life has been disrupted is almost 17 years that my house is not more my house. Living in so called social housing for twenty two years on the 17 March. For twenty years a bullying neighbour and her cocaine dealing daughter have been harassing me some of the time for money at my door. But the last nine years another neighbour also well known to the police who is a skid row alcoholic and taking a lot of drugs has been persistently begging at my door for money and in the street in the area. I have complained to the landlord and to the police. This neighbour has also organised a friend of hers who doesn’t live here beg for money at my door February 2019 reading of alcohol money with menaces and a sob story. As for the landlord and the ASB officer I was advised most recently to be mindful and cautioned with the warning of a warning letter since the little predatory parasite had got herself a support worker who had written to accuse me of harassing her because I am complaining of the vile stench of the skunk and whatever she and her bullying visitors are smoking. I was told to shut up. The smell of the drug makes me feel sick. The ASB officer shamelessly admitted that a lot of their tenants are taking drugs. I have been to my MP and wait for letters to be written. A policeman advised me that following a warning the anti social behaviour stops for two weeks and starts up again. Imagine what it’s like here in the summer. The truth is I am the one that’s vulnerable. If a neighbour comes to your door begging for money ‘for gas’ don’t give it to them. When you stop the malevolence really shows itself for what it is. There's a drug den in my area... and nobody cares. Why don't the council do anything about it? "The council are aware!" Person is doing and selling drugs to all the druggies in the area, the monster left their door open and just up and left, people went in and stole everything in the house, literally everything, even the pipes and floors... it is a flooded house now, and nobody cares. Area - full of robbers, drug addicts and creeps, and people with mental problems. I have an Harassment Notice on me for making 30 calls to Hampshire Police for the heavy, heady, choking, pungent drug fumes which are filtering into my bedroom and work space which once required paramedics out.The Police only came out to gain evidence once but three hours after I had phoned. I cannot stand the fumes.They make me ill and cause anaphylactic type symptoms and terrible ear, nose and throat problems.One police officer refused in a VERY malevolent tone to come and gain evidence.The man from the same household was overheard saying:"I hope someone blows their place up" to another neighbour but when we told the police this, one officer said:"It was just a flippant remark and he did not mean anything by it".Our police force is covering up for our neighbours drug use.They are complicit with my suffering. I cannot get the smell of their retched fumes out of my nostrils and my nausea is off the scale.It also makes me feel starving hungry. The police want photos which I have but all they say is it takes time to put it all together. I have this dtone sound of a night the neighbour said its her dryer...5 hrs? Moving stuff aswell. My heads cabbaged. Got to keep a record for enviromental apparently got to be on their paper. So will keep it till 28th thats if I havent had a brain heamorage.If nothing happens I am writing to papers and a book. My mum and I want to leave but who would buy next to this trailor trash? Letters on a postcard please. I have had neighbours who were evicted and put next to me and parents for 8 yrs. 8 yrs of hell. A police lady has had the cars stopped only last year. The tenantshave a private landlord as they were thrown out of a housing society. The landlord said Its only you who has to put up with them. We had cars by the dozen they said it was kids dads paying football subs ?? Smells od cannabis. A buzz that went of if we moved from room to room or went in front or back garden. People lieing in the rd of their head. People in front garden all hours of day night. Put my dad in his grave and 2 other neighbours. Mediator seen all the 7 diaries. Said they can do what they want on own property? She even walks down rd behind me when my mategoes for a taxi. Stand in the dark when i come home with shopping . Sits under umbrella in all weathers. Maybe we should all form our own vigilanty group. I feel sorry for the “red whale “ comment below as I’m in similar position I live in a semi detached housing association house and had this damn buzzing noise and sometimes the smell of weed for the last 2 years but because I’m very private and quiet and live alone (no witnesses) they think they can do what they want with buzzing noise, it gets turned down if I have visitors they have cameras front and back, I complained and it took 3/4 months for anyone to get access come that time they probably cleaned up and started again once heat was off them and now the housing association dontseem interested when I tried to tell them it’s still there they said it was investigated and they found nothingsooooooo a total waste of time , I’ve tried confronting him (the tenant) and he says can’t hear nothing ?? He would have to be Stone deafif he’s innocent why not help me to find out what the buzzing is?! No he’s just defensive , such a waste of time and I’m stuck with this noise like an industrial fan through the night which is also risky as nobody there at night it could catch fire ,potentially, he supposedly works but I feel there justusing the house to grow weed , I don’t know whether to wait for damp to come through the walls or keep using my brain to try and find another way , very difficult to sleep sometimes but their getting away with this and very hard to get the help I need . the police don't care if you have proof, I've got footage of deals going down and people going into the bushes outside our homes and collecting bags.I offered to give the police footage on a flash drive which is as clear as a bell, you can recognise the druggies and I've even seen them in town.They didn't want it they said they would call and look at it incase an officer recognised them.Doesn't make sense, but they didn't call.Kept getting calls saying they would come but they never did.Still have the footage but they aren't interested.The Police said that people can get over enthusiastic when they have CCTV, I was trying to help them catch dealers!The dealers and druggies know the police don't care and that's why it continues.Its up to us all to try and keep our neighbourhoods clear.Police are a thing of the past. I have two in my complex; both people are living with elderly tenants; one young man is is not to live here (a senior complex that one has to be over 55; this man is in his twenties).the other one just comes out and she buys or sells drugs 4 or more times a day.The superintendent sees it and others have reported it, but nothing gets done. The rental complex is doing nothing.Police were called on the younger man, but now he is sneaking in at night; he says he has no where to go; kicked out of 4 rehab centers---BUT he owns a Merdedes Benz 2011 four door car!! !Hopefully I will get help soon. Otherwise many of us will move out. I live in a house share and one Tennant who is 22 has his mates around 24/7.there smoking weed and blasting music 24/7.ive asked them god knows how many times to stop with the music because I get up for work at 5 every morning. But they don't listen. The lad delivers beers, wines and spirits for a company. I've heard him and his mates talking about using one of the vans that hasn't got a tracker on so they can Rob stuff and sell it on. Also with him smoking weed all the time he is driving under the influence constantly he's not safe to be on the road. I'm sure he was dropped on his head as a baby because no matter how many times I ask him to stop he carries on doing what he's doing. I'm coming to the end of my tether now and it's going to get to a point where I snap and do something. He's so disrespectful of others and this lad needs to be taught a lesson. He is making my life hell and my health is getting worse because of him. Been down the route of getting housing society involed and policedone all the noise logs and numberplate taken when possible all info was passed on. They have so many visitors every day andcoming up weekends they turn up early hours of morning it's not just the drug dealing it all the noise of cars arguments doors slamming and loud music for hours on end.Police aren't interesteddon't have resources we were told when I called them out one night to a argument out front with the dealer and some men that turned upthe dealer was armed with police style baton.I just had enough and went out and told the lot of them to sod of.Ended up being threatened.police did nothing.Same with our housing.I now just hope to be able to move on a swap but had problems there when new tennents find out who lives next door.Can't take no more we just want a Peace and in need of some decent sleep.i not willing any more to do lolg sheets or anything else causehousing socierty have let us downso have the police. My neighbour is vulnerable due to his mental health status. He appears to be suffering from a brain injury but tells everyone he has 'epilepsy'. His shouting, angry rages, manic and throwing himself around behaviours are partly caused by his regular drugs use. His address is rented yet he is being used as a safe/storage house for illegal items. He is seen to be regularly dealing and buying drugs. He does not work (so my hard earned tax payments are helping to pay for this existence!). His choices to get involved in this seedy world have placed him frequently under threat from the dealers above him. Also, it attracts all kinds of shady characters into our other than him, fairly smart residential area. I have worked solidly for the past 35 years to be able to afford to live here. All these concerns have been reported to the local police. Guess what......they have done nothing! Report to crimestoppers, it can be done online anonymously, there's no point putting into on this site! I lived next door with drug dealer in Nelson Lancs. Reported many times. Police said there is no proof. Well, it is their job to prove it, but they expect people do it for them. I don't live anymore there, but today passed that street and noticed the drugger came out ofcthe house and went inside a car that was behind the corner. I passed near and felt a horribble skunk smell coming out of there. When will police start watching him? I hugely suspect he grows cannabis in the house. You'll be lucky if anything is done to get rid of drug dealers.Even if you report it nothing ever gets done.These drug dealers are free to roam around and cause misery by putting schoolchildren on drugs.Nobody will help you.God help any other parent who has to go through this.It is never ending. I turned my neighbors in and nothing is being done about it and my neighborhood is turning into a drug dealers Paradise. I don't know what eslse to do. Talk to the Housing Association first. If no action is taken and you are concerned/it's affecting you, contact your local police.